This delicious sampling of hearty, Mediterranean flavors is a satisfying lunch you won’t believe you pulled together in a matter of minutes! Place all ingredients except dressing on serving plate. Drizzle with dressing. Or, pour dressing into bowl and serve as a dipping sauce. 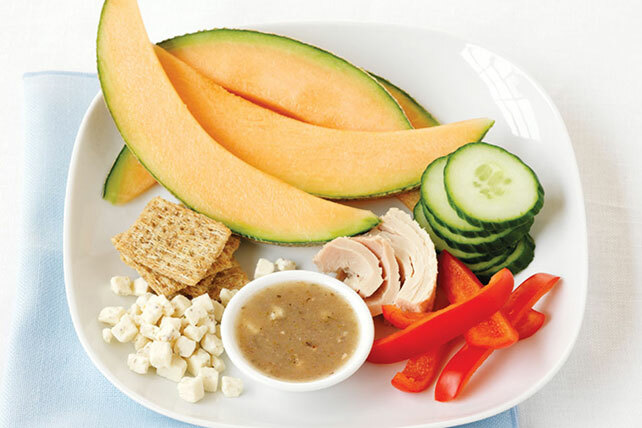 Substitute canned salmon for the tuna and your favorite summer fruit for the cantaloupe.